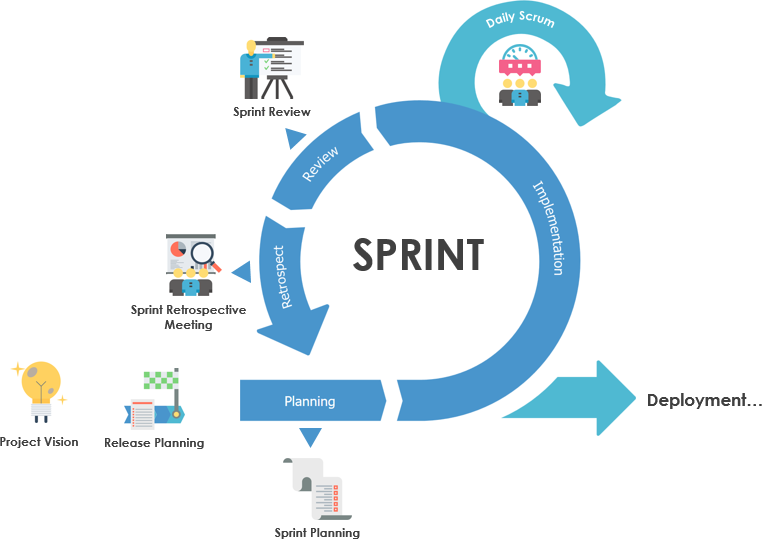 Current: What is Sprint Retrospective Meeting in Scrum? The Sprint Retrospective occurs after the Sprint Review and prior to the next Sprint Planning. This is at most a three-hour meeting for one-month Sprints. The retrospective session is basically an “improvement” meeting held to find ways and means to identify potential pitfalls, past mistakes, and seek out new ways to avoid those mistakes, which are attended by all – the product owner, scrum master, development team members, and optionally with the stakeholders. In other words, a sprint retrospective meeting is to find what activities and “things” the team is doing well, what activities should be continued, and what “more” can be done to improve the next Sprint to be more enjoyable or productive. The “inspect” and “adapt” principles play a key role in retrospective session for making the next Sprint more enjoyable or productive. Each Sprint start with two planning sessions to define the content of the Sprint: the “What” – Part one of Sprint Planning Meeting and the “How” – Part II of the Sprint Planning Meeting. 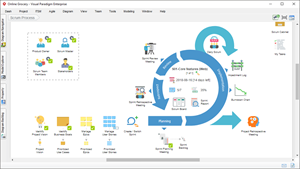 The combination of these two meeting are also defined as Sprint Planning Meeting. At the end of the Sprint a Sprint Review Meeting is conducted to allow the Scrum Product Owner to check if all of the committed items are complete and implemented correctly for deployment. A Sprint Retrospective Meeting is then conducted to check and improve the project execution processes: What was good during the Sprint, what should continue as it is and what should be improved for the next sprints. Close the retrospective – Clarify follow-up; Appreciations; Clear end; How could the retrospectives improve? How new the team is? What went wrong in the Sprint? What We had Learn in the Sprint? What should we do differently in the next sprint? 1. What went well in the Sprint? The possible questions that can be asked, to understanding the reason behind a success in the iteration by asking ourselves what went well to acknowledge all the good things that have happened. What motivated us to do it? What did we do differently to make it a success? Which training, skill, or knowledge contributed to the difference? Which strong point in you makes it happen? Which strong points of your team that made it happen? What is the team member’s contribution that helped you accomplish it? 2. What went wrong in the Sprint? While questions in this section should not be asked to assess the performance of the individual or to penalize, but to gather information, and to identify the ways to resolve it in the upcoming Sprint. Where better to look to make improvements than where things are not going well? In fact, this question unearths difficulties, issues and dissatisfactions that the team are currently facing with. What did you do that went wrong? How many are responsible for this to go wrong? Where you aware of doing that it will go wrong? Did you understand it wrong and hence implemented wrong? Did you understand right but still it went wrong? 3. What We had Learn in the Sprint? How was this sprint executed? Where did it go wrong in this sprint? Which techniques were not useful? What went in a smooth fashion during this sprint? What did not go smooth during this sprint? What learning during this Sprint can educate us for the upcoming Sprint? 4. What Should We do Differently in the Next Sprint? This section basically focuses on identifying the possible corrective actions from the past success, failure, and learning. How can the strength of the individual be utilized to resolve the issue? What should be done often to prevent the issue from arising again? Which actions must be implemented immediately for which you have the bandwidth and capability? Identify the 1 thing to be changed and explain how you could change it? What strategies will work to complete the job? What will you do in the upcoming Sprint to complete this action? How will you do it to make it a success? When will you do it during the Sprint? Do you require help to complete this? What additional support do you require? How will you let me know that you completed it? What will you do next after accomplishing this during the Sprint? The Scrum retrospective meeting can be thought of as a “lessons learned” meeting. Right Retrospective questions allow the team to think, at the same time provides an ownership to each team member thus making it truly Agile. Make use of the questions given above based on the scenario and motivate your team and yourself to show improvement in the future Sprints. While these sample questions are indicative, you can customize as per your requirement.